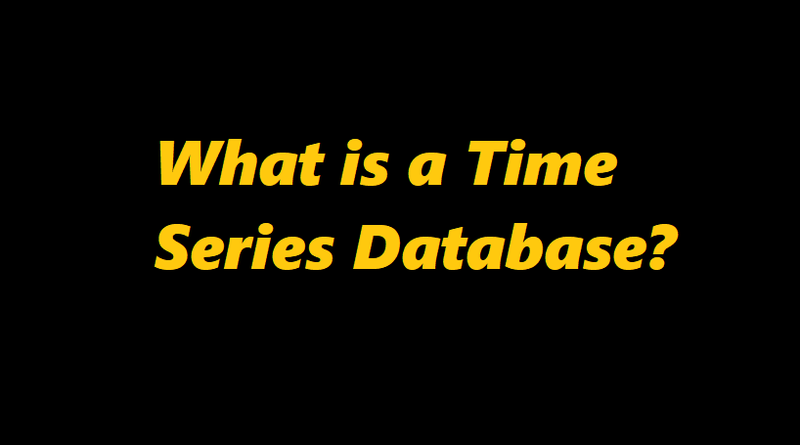 A Time Series Database (TSDB) is a database optimized for time-stamped or time series data. Time series data are simply measurements or events that are tracked, monitored, downsampled, and aggregated over time. This could be server metrics, application performance monitoring, network data, sensor data, events, clicks, trades in a market, and many other types of analytics data. A Time Series Database is built specifically for handling metrics and events or measurements that are time-stamped. A TSDB is optimized for measuring change over time. Properties that make time series data very different than other data workloads are data lifecycle management, summarization, and large range scans of many records. Why is a Time Series Database Important Now? Time Series Databases are not new, but the first-generation Time Series Databases were primarily focused on looking at financial data, the volatility of stock trading, and systems built to solve trading. Today, everything that can be a component is a component. In addition, we are witnessing the instrumentation of every available surface in the material world—streets, cars, factories, power grids, ice caps, satellites, clothing, phones, microwaves, milk containers, planets, human bodies. Everything has, or will have, a sensor. So now, everything inside and outside the company is emitting a relentless stream of metrics and events or time series data. This means that the underlying platforms need to evolve to support these new workloads—more data points, more data sources, more monitoring, more controls. Why InfluxDB Time Series Database Unique? The whole InfluxData platform is built from an open source core. InfluxData is an active contributor to the Telegraf, InfluxDB, Chronograf and Kapacitor (TICK) projects as well as selling InfluxEnterprise and InfluxCloud on this open source core. The InfluxDB data model is quite different from other time series solutions like Graphite, RRD, or OpenTSDB. InfluxDB has a line protocol for sending time series data which takes the following form: measurement-name tag-set field-set timestamp The measurement name is a string, the tag set is a collection of key/value pairs where all values are strings, and the field set is a collection of key/value pairs where the values can be int64, float64, bool, or string. DevOps Observability – Observing and automating key customer-facing systems, infrastructure, applications and business processes. Ease of Scale-Out & Deployment – Millions of writes per second, and clustering to eliminate single points of failure. Quickly find value in data — control systems, identify patterns, and predict the future. The InfluxData Platform is built upon a set of open source projects — Telegraf, InfluxDB, Chronograf, and Kapacitor, which are collectively called the TICK Stack. Below, learn more information about Telegraf, InfluxDB, Chronograf, and Kapacitor and their specific functions within InfluxDB’s open source core. The Open Source Time Series Platform provides services and functionality to accumulate, analyze, and act on time series data. Note: Clustering is only available in InfluxEnterprise and InfluxCloud – Compare Editions. Telegraf is a plugin-driven server agent for collecting and reporting metrics. Telegraf has plugins or integrations to source a variety of metrics directly from the system it’s running on, to pull metrics from third party APIs, or even to listen for metrics via a StatsD and Kafka consumer services. It also has output plugins to send metrics to a variety of other datastores, services, and message queues, including InfluxDB, Graphite, OpenTSDB, Datadog, Librato, Kafka, MQTT, NSQ, and many others. Chronograf is the administrative user interface and visualization engine of the platform. It makes the monitoring and alerting for your infrastructure easy to setup and maintain. It is simple to use and includes templates and libraries to allow you to rapidly build dashboards with real-time visualizations of your data and to easily create alerting and automation rules. Kapacitor is a native data processing engine. It can process both stream and batch data from InfluxDB. Kapacitor lets you plug in your own custom logic or user-defined functions to process alerts with dynamic thresholds, match metrics for patterns, compute statistical anomalies, and perform specific actions based on these alerts like dynamic load rebalancing. Kapacitor integrates with HipChat, OpsGenie, Alerta, Sensu, PagerDuty, Slack, and more.